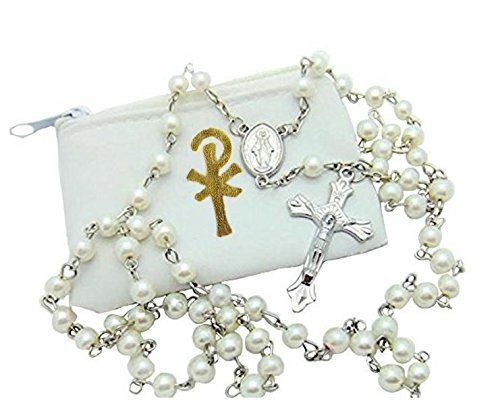 Elysian Gift Shop Catholic 6mm beads White Pearl Rosary with White Vinyl Rosary Case with gold accent by Elysian Gift Shop at SCRHI. MPN: unknown. Hurry! Limited time offer. Offer valid only while supplies last. This value rosary with zipper case set is a great way to encourage Catholics to pray the rosary daily. Each is durably crafted for many years of use. If you have any questions about this product by Elysian Gift Shop, contact us by completing and submitting the form below. If you are looking for a specif part number, please include it with your message.